Ukraine’s southeast saw only a brief suspension of Kiev’s military operations on Sunday while the nation took to the polls. Just before the presidential election, Ukrainian MPs called for immediate troop withdrawal from the country’s southeast. Following the vote, the leading candidate – billionaire chocolate tycoon Petro Poroshenko – said he sees no reason why the military should stop the operation. “I support its continuation, but demand a change in its format – it must be shorter and it must be more effective, military units must be better equipped,” he said, despite earlier statements that he is ready for dialogue with the self-proclaimed Donetsk and Lugansk People’s Republics. Soon after the last vote was cast, the Kiev military descended on the southeast with new energy, shelling Slavyansk and attacking the airport in Donetsk with mortars. The number of victims is not yet known. According to the prime minister of the self-proclaimed Donetsk People’s Republic, Aleksandr Boroday, 100 self-defense forces and civilians died in Donetsk during the attack. 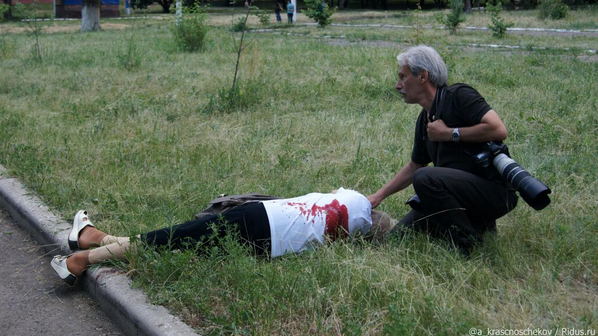 Donetsk authorities reported that about 40 people died and 43 others were injured. 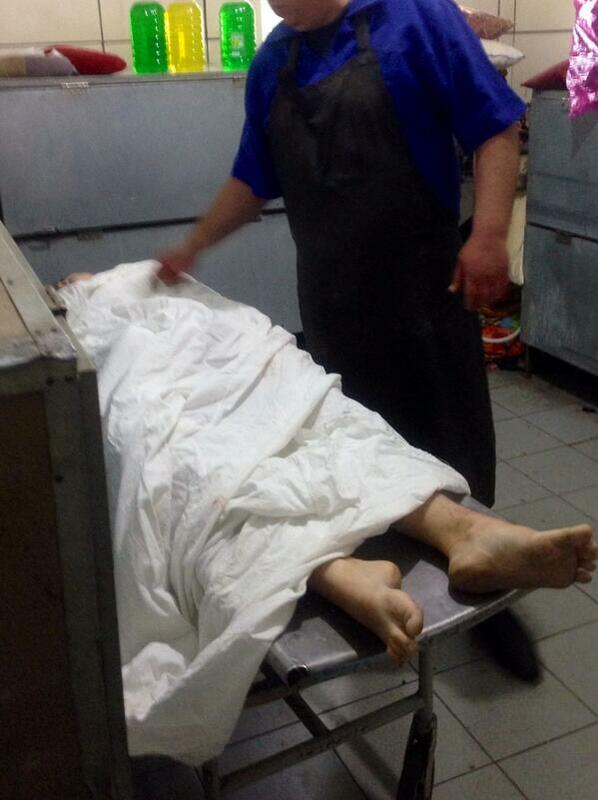 In Slavyansk, at least three civilians died, including one woman. “We see what that means today – shelling against civilians, bombs that fall near occupied apartment blocks, fighter jets, and helicopter launches against an urban population,” analyst Daniel Patrick Welch told RT, adding that talks were never part of Poroshenko's plan. “We came up to look at the man but he was already dead. A shell had fallen right next to a nine-story apartment block, all the glass was out. 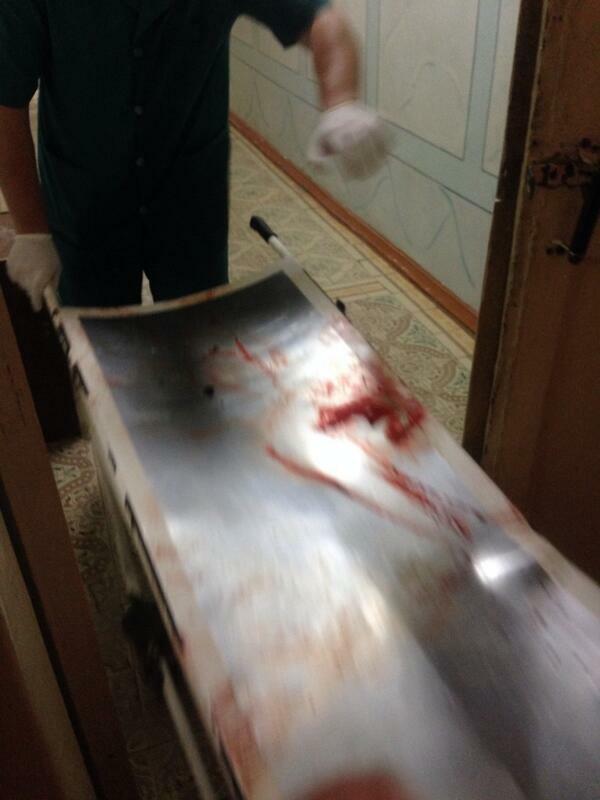 The man’s head was bleeding, his arms and legs were broken,” a Slavyansk resident told RT. Civilian quarters of the city – which is home to about 130,000 people –came under fire for the first time on Monday. “When we went further, we found a dead woman near a teachers college, a shell hit there too,” a local added, saying that a third man was found nearby. 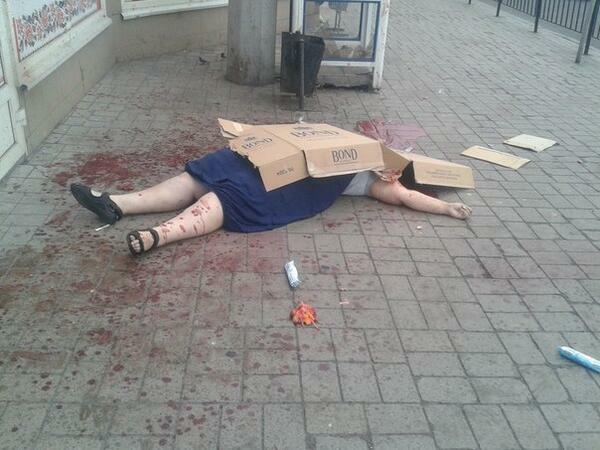 On Tuesday, reports appeared of a possible fourth victim among the civilians in Slavyansk. A woman was also killed near the Church of the Reigning Mother of God, according to a message on the website of the Gorlovsk and Slavyansk Eparchy of the Ukrainian Orthodox Church. It added that the building of the church was damaged along with an apartment building and student dormitory nearby. “A bomb fell just 10 meters from the church. Fortunately, there were no people in the church at that time," the message reads. On Tuesday, Ukrainian fighter jets and helicopters were unleashed at armed self-defense forces occupying the airport in the city of Donetsk. “We’ve lost more than 50 self-defense fighters,” said the PM of the self-proclaimed Donetsk People’s Republic, Aleksandr Boroday, as quoted by RIA Novosti. “Many of the casualties are a result of two Kamaz trucks having been shelled by the Ukrainian army. The trucks were driving the wounded from the battlefield near the airport.” The identification of bodies is underway the city’s morgue. “We saw the results yesterday,” Yaryoma added. Kiev first launched a punitive military operation in the volatile southeastern regions of Donetsk and Lugansk back in April. Following a coup in Kiev, the two proclaimed their independence from the new authorities, with the desire to break away seeing landslide support in May 11 referendums.